The language problems may only become as the child progresses at school system. Aditory processing difficulties: speed of processing, auditory attention, auditory analysis and discrimination. Some kids with ADHD show problems following instructions, slow speed of processing written language, short term auditory processing, difficulties listening in distracting environments (noise). They miss out the details or show problems grasping the “main idea” (comprehension problems). Metacognition skills: What do I know? What do I need to know in order to learn? They have problems with “problem solving“. Impulsivity and poor Organizational Skills: tangential narratives or stories, poor writing skills, word-finding and inferring meaning problems. Syntax: difficulties using and comprehending structural components of sentences. Semantics: word meaning and organization. Poor vocabulary. Pragmatics: while interacting with the others socially. 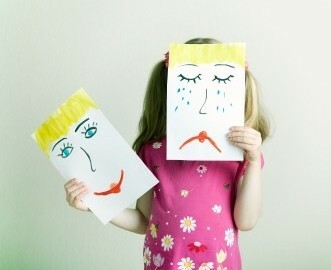 An example is when they try to express feelings or hold conversations with people of different age. Metalinguistiscs: humour, multimeaning in words, figurative language, ability to segment words, syllabes etc. Not all students with ADHD have language problems – and the types of language problems seen in ADHD can also be seen in children without ADHD. However, problems with information processing frequently include language-related difficulties and these have to be dealt with at home, school, socially and in a learning environment. Last week A.D (kid) told me something beautiful “When you talk to me Lorena, my ears suddenly can hear”. These kids need a home where they can express themselves, they also need to engage in discussions (talk, and talk, and talk assertively), be surrounded with friends and family and LOADS of support. Their possibilities are simply endless.